M101 also known as the Pinwheel Galaxy is a face-on spiral galaxy located 21 million light years away from Earth. 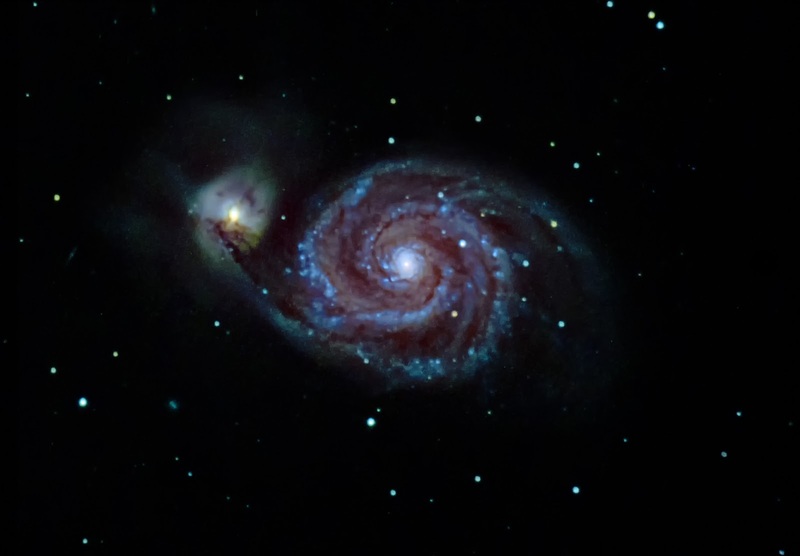 Interactions with it's several companion Galaxies have made it asymmetrical in shape. Imaged with a Nikon D750 attached to the ODK at Austerfield. 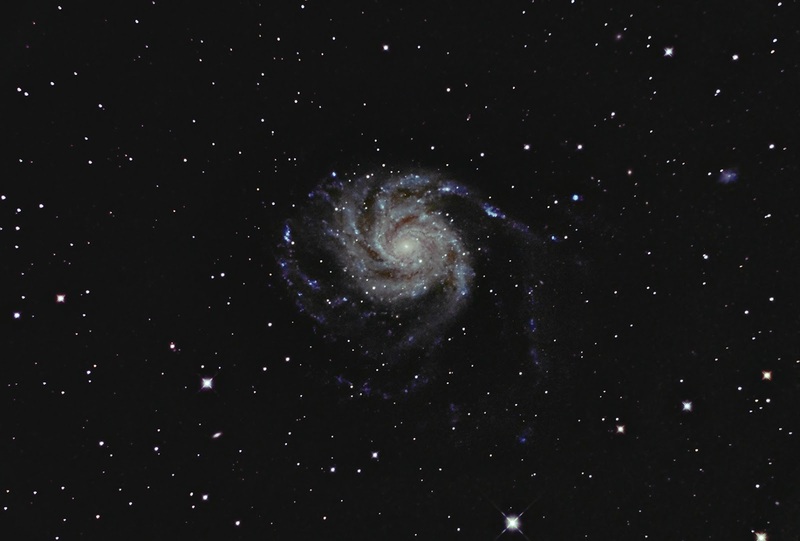 15 x 300s @ ISO 800 stacked in Nebulosity and processed in Photoshop.